Today the Big Lottery Fund unveils £48.5 million investment for women and girls projects. 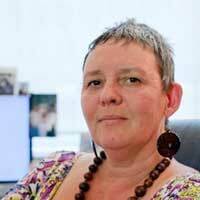 Vivienne Hayes, CEO at Women’s Resource Centre shares her personal reflections. Sometimes it’s easy to forget that women’s organisations are the “net beneath the net” for many women. It might sound like a fantastical claim, but it is not. It’s the truth and these organisations save countless women’s lives. Women’s lives and experiences are not compartmentalised, and so the best of the women’s sector recognise this and on average provide between five and eight different services to a woman. We don’t often blow our own trumpet in the Women’s Sector, partly because we are just too busy, partly because boasting doesn’t usually come easy. But when I think about the hundreds if not thousands of women I’ve met who work in our sector, one thing stands out; their commitment, passion and what I call “human love”. That’s something you cannot learn nor be trained to do and I would argue that it’s what makes our sector unique and the services we provide better than any statutory or generic service. So who are these women who work in the sector; the ones that go the extra mile, that don’t shut up shop at 6pm when there’s a woman at the door seeking support. Like me many of them are themselves survivors of various and multiple discrimination; male violence, racism, disablism etc etc. And there is no us and them, it is we women who are all on a journey separately and collectively, whether we choose to acknowledge it or not, a journey of recovery, healing, empowerment and activism. Like so many others who work in our sector, my initial involvement in women’s organisations was as a service user. I escaped to London in the 1980’s from a very abusive relationship with a man. After searching for support I found a tiny organisation (no longer in existence) called Lambeth Women and Children’s Health Project (LWCHP). This organisation and the women in it were my lifeline. I do believe that without them I may not have survived so well as I realise now that I was on the verge of a nervous breakdown (or breakthrough) as we used to say- LWCHP helped me breakthrough instead of breaking down. Subsequently I became a volunteer for LWCHP, then joined the management committee and progressed on within the women and children’s sector to reach my current position as the Chief Executive of the Women’s Resource Centre, an award winning organisation (Third Sector’s Britain’s Most Admired Charity) and personally an award winner of the National Diversity Award 2013 for Gender Role Model. So without women’s grass roots led by and for specialist organisations, many women would be lost, including me, and without us there is no sector. You can find out more about our investment in women and girls projects on our website. To find out more about the Women’s Resource Centre, visit their website. Reblogged this on BEREAVED FAMILIES PEER SUPPORT.